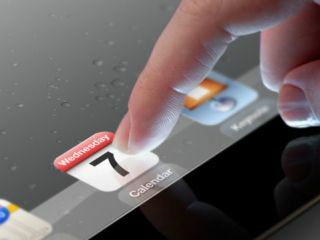 The new Apple iPad 3 will go on sale at 24-hour Wal-Mart stores across the United States eight hours before it becomes available from Apple Store locations. The supermarket will begin selling the 16GB new iPad at 00:01 on Friday morning, whereas Apple's own retail stores won't open until 8am. Buyers will be able to obtain limited supplies of both the black and the white tablets, but larger models will not be available. Wal-Mart will also begin shifting units of the now-discounted iPad 2 for $399 alongside the new model. So, if you feel like getting the jump on those line-up-around-the-block Apple devotees, you can head down to Wal-Mart tonight to save a mad dash before heading into work tomorrow morning. All other US sales partners, Best Buy, Target, Radio Shack, Sam's Club, Verizon and AT&T will begin selling the device alongside Apple beginning Friday morning at 8am or thereafter.